Thanks for taking the time to look at our newly renovated holiday house, Auchnascraw Mill. We hope you like what you see! 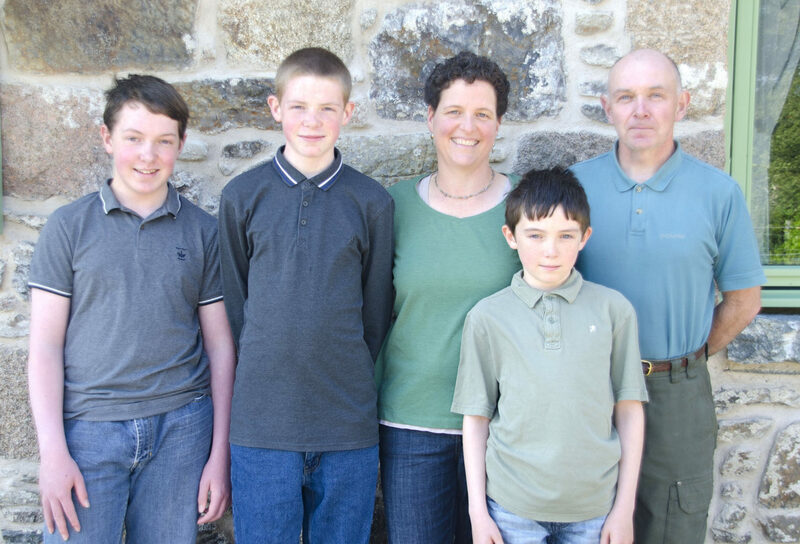 Our family relocated from Vermont, USA just over eight years ago to be closer to my Scottish husband’s family. Auchnascraw Mill was a derelict Mill for many years, but with the help and vision of family and friends . . . the dream to renovate it came to life over a process of the past few years. We are so happy to have saved the building, maintaining its character and will provide you with a warm Highland welcome during your stay! The Mill is so beautiful! Stone walls, wrought iron, beautiful views… We loved the kitchen! It had every item we needed to really enjoy preparing our meals. Our favorite times at the Mill were returning from nearby salmon fishing and having a wee dram while sitting with the wood fire going. From getting up early, making coffee, and having 5-6 cows looking right in the large kitchen window, to watching sheep dogs drive sheep from the patio…The Mill is quite an experience.